Ever since I was a young adolescent, I believed that every physical manifestation was a symptom of and underlying beckoning asking to be noticed, attended to and acknowledged. This was first introduced to me in the form of health and healing although it applies to everything. For example: I was born with intense allergic reaction to spring foliage (hay fever)which caused significant disruption in my ability to be outside in the spring time. When everyone was outside playing, I was sneezing profusely, swollen eyes, fatigued and had an itching throat. I had an air conditioned dorm room in college because of this health challenge. This started in the womb similar to what my mother experienced while she was pregnant. Metaphorically, the allergies were a physical symbol of a “sensitivity to my environment” especially during times of newness, transition, beginnings, times of growth. This was a message far beyond the simple sneezing and discomfort. It was a request from my soul to acknowledge and recognize how sensitive I was to all things around me which included the thoughts, opinions and beliefs of family, society, & friends verses what I knew to be my soul’s illumination of intelligence: MY HEART’S WISDOM. It was metaphorically exasperated during times of new pursuits (spring representing birth). 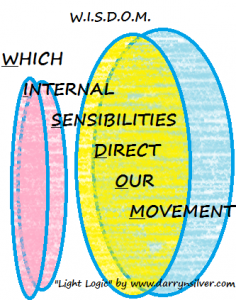 In 2012, I began speaking openly about metaphysical principles with a kind of self-assurance. I no longer needed the validation of any source outside of myself. I felt confident in my intuitive connection and the source that was fueling me. It was a knowing that I allowed to surface. It came from the small still voice within me and the miracle happened: The spring of 2011 was the last time I ever experienced the depilating allergies that kept me inside during beautiful spring days that I had endured all of my life. Was this a coincidence? I think not. I had tried various traditional and holistic remedies from the time I was a child. Nothing ever solved this challenge like dropping down into feeling my sensitivity, seeing it as an asset and resource by which I could provide valuable information to others to help their own self-service of healing. So, when my husband developed a variety of body disharmonies over the years, I knew something was asking to emerge. I knew it was significant because it kept reoccurring in different forms and his ability to work was compromised. It took some time for him to allow the idea that his physical challenges were more than the physical. Fortunately, he was open to being honest with himself and willing to learn what his soul had to say. 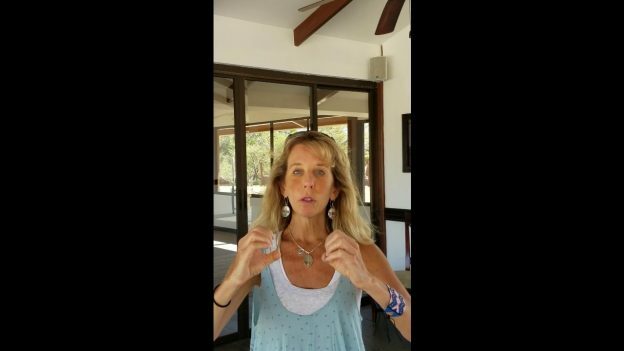 It was time to introduce a holistic approach of the mind, body and spirit. 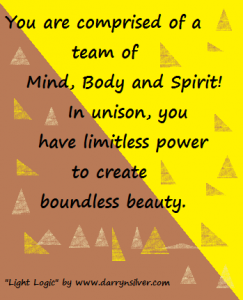 We KNOW that we are a mind, body and a spirit. MIND: My perspective is that the MIND is made up of our brain and our heart. Our brain and heart are more than physical organs. All parts of us exist on multidimensional plains. The BRAIN can resonate on a lower frequency which is akin to busyness, chatter, monkey mind, stress response, flight or fight reactions. This causes the secretion of stress hormones because we are indicating to our nervous system that we are in danger and need protection. This is a lower vibration and very much instrumental for survival but we do not want to perpetuate this state as it compromises our natural equilibrium. The brain can also function as a servant to the heart by being clear, open and spacious. If it takes direction for implementation of the heart’s desire, there is a peace and a calm that ensues. This higher brain frequency that science calls Alpha, Theta, Delta and beyond allows us to feel our interconnectedness with all beings. There is a feeling of bliss and a kind of visionary knowingness with which to align. HEART: On a physical level, the heart is the muscle that circulates the blood to all part of our body. The blood carries the nutrients including oxygen from our breath to replenish, rejuvenate and revitalize our muscles, vessels and offer cell regeneration to lift us into more expansive states of well-being. However, the heart is much more than simply an organ. We all know this intuitively but how much attention to we give to it daily. How many songs are written about our heart connection, love, compassion, empathy and kindness? Where does the source of our inner joy burst forth? 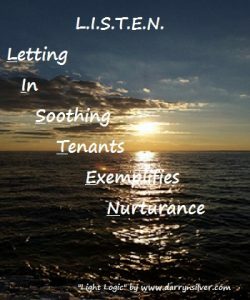 How much time do we devote to connect to this feelingful state that soothes and comforts us back into totality? When our heart is open, we are in a receptive state and there is a circulation of love, self-esteem and energy that feels uplifting, life affirming and supportive for the self and others. We are in our wholeness and oneness with our (and everyone’s) Divine Presence. Certainly, it is a practice to get out of our head and into our heart! That is HEALING!!! Isn’t it interesting that the Right Brain governs the left side of our bodies? Where is our heart physically in our bodies? The left side. We access true wisdom through our heart space. Our heart channels its energetic messages which is then translated and interpreted by our right brain in a way our body can experience. It is through the senses of intuition, creativity, passion, ideas, inspiration, curiosities, emotions, sensations, and knowingness etc. 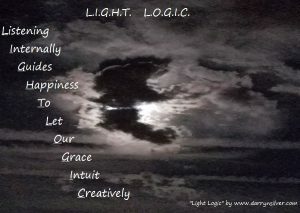 I call this “LIGHT LOGIC”. 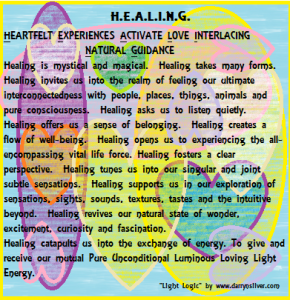 Accessing the pure unconditional luminous loving light energy through the wisdom of our heart, processed by our Light Right brain, and creating a link ie implementation through some semblance of Logical “know how” of our Logic Left brain. If you think of your heart and brain as separate circles, and, to the degree they overlap, is the Earthly Expression of your Higher Mind/Soulful Self. The more they overlap, the more you are taking guidance from the wholeness of your heart and the brain is acting as a faithful servant. This is where life becomes easier, effortless and a sense that all is well in the world is your experience regardless of the external circumstances. As you allow your Higher Mind/Soulful Self expand into you, it is drawing from the Collective Mind/Consciousness because your personal Higher Mind/Soulful Self is a particle of the Collective Mind/Consciousness. The Collective Mind/Consciousness is seeking your Highest Good and speaks through your Soulful Self which is activated through your heart energy and processed through your Light Right brain. I use “Higher Mind/Soulful Self” to offer a variety of substitute terminology for people who have strong early conditioning and so they might create new associations that resonate. BODY: Talk to your body. Ask it daily how it is doing? What it would like to experience in this moment? Remember that everything you place in your body has a consciousness to it and you are exchanging information. If you take a medication, know that it has a life of its own and you are holding hands with that medication. Is it serving you? Is it a band aid? Can you learn from its effect? Explore its impact in your life and state of well-being. Leave judgment on the shelf. Be curious to the level of heightened awareness of how this has and is serving you? Being quiet and scanning your body daily will help assist is what your body is calling forth for you to examine. If there is physical discomfort, go into it. Embrace it. Be curious about it instead of attempting to push it away which is like ignoring a crying toddler. Mother the body part that is asking for soothing. There is a message in this for you and it will likely help another person on your life’s journey. SPIRIT: This is your life force. Just like the wind, you cannot always see it but you know where I has been and that it is still here. Honor it and develop a daily practice to ignite its mysterious magical magnificence in your life. You deserve it. Know that that air is spirit, the earth is spirit, the water is spirit, the fire is spirt and every living thing which encompasses animate and inanimate objects are all of spirit. Everything is consciousness. 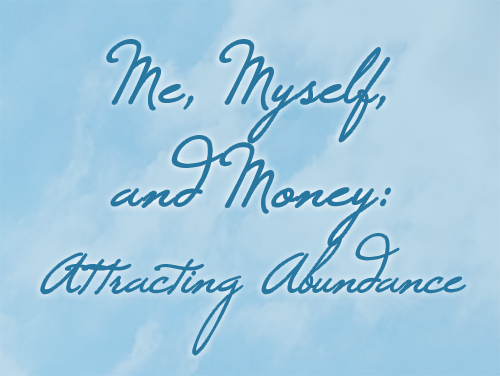 Your conscious health and wealth is expressed relative to what you perceive as value and worth. Do you rush through your day? Notice how often you hold your breath? What kind of situations prompt a holding of your breath? How much time do you spend listening to your heart each day? Place your hand on your heart, close your eyes and count the beats. Is your breath in coherence with your heart beat? 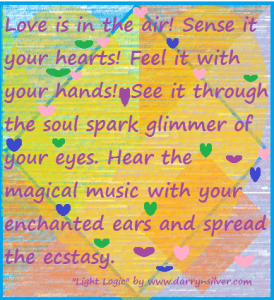 Think of one thing you are willing to do right here right now to get into your heart space? This can be “feeling” the beauty of nature all around you. Being in awe of how simple it is to ignite. How much time do you spend noticing how loud or quiet your brain is? Picture each thought as a cloud in the great blue sky passing by. Each cloud has a word on it floating away. Are you taking dictation from your brain or is your heart leading more of the time? 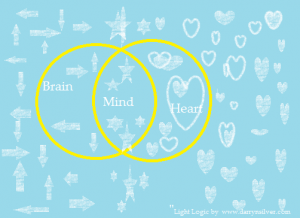 Can you notice how much of an overlap between your heart and your brain is leading to a grander embrace and fulfilling relationship with your Soul Self or Higher Mind? Practice towards changing the proportions. Where does your heart ask you to place your time, energy, presence and resources? Is that congruent or incongruent with where your attention is right now? Just notice for now. Be a leader by being willing to follow your heart’s direction into your Soul Self/Higher Mind and see what is created. This entry was posted in Blog on April 24, 2017 by darrynsilver.